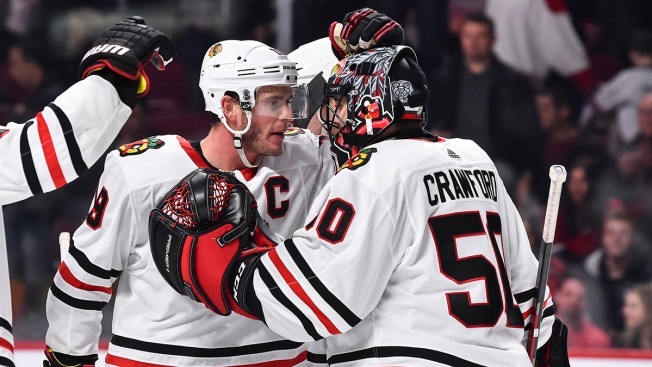 Crawford was named as the team’s nominee for the Masterton Trophy on Thursday, the Chicago chapter of the Professional Hockey Writers Association said in a statement. Each of the 31 NHL teams has a nominee for the award, which is handed out at the NHL Awards each summer. Only one Blackhawks player has ever won the award, as Bryan Berard won in 2004 after he overcame a terrifying injury that left him legally blind in one eye. Last year’s winner, Brian Boyle of the New Jersey Devils, was diagnosed with leukemia during training camp and managed to come back and thrive for New Jersey.